Just a quick word to tell the Connection Festival 2014 website website has just been refreshed. You can now find all the details on the venue and how to organize your trip peacefully. With 5 days of great music inclusing some of the best Goa artists worldwide, in a wonderful location (El Batán de las Monjas, San Nicolás del Puerto, near Sevilla, Spain), the Connection Festival is the place to be to celebrate the end of the summer and connect with each other! 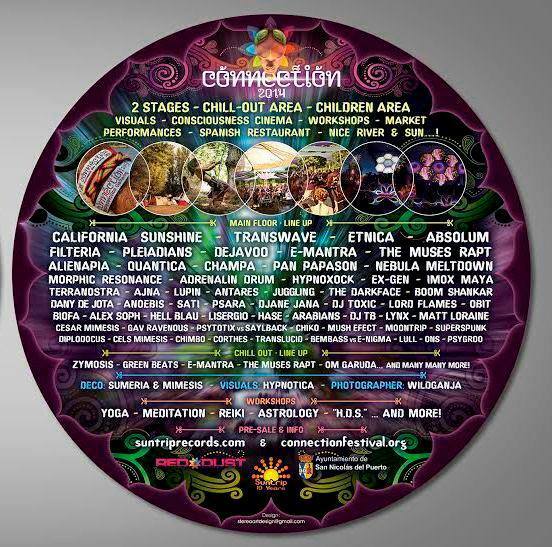 I know this is insane and crazy for me to say, my area is in dire need of some local psytrance festivals. Very few exist in Southern California. I am tired of the mainstream dance festivals in USA, they do not fill void in my soul. Only Goa trance and progressive psy can do that.